There is a presumption among many that Work is something to cope with until retirement age is achieved. Of course work – whether one is a professional, entrepreneur or wage-earner – supports life for multiple decades between childhood and old age. While some perceive it to be a necessary evil, the more fortunate among us derive a sense of purpose from it. ‘More fortunate’ in the sense that they find work a positive impetus that provides more than mere housing and sustenance. A sense of purpose gives life meaning. It also creates an identity. The phenomenon of ‘retirement’ can be attributed to a negative perception of work. It is a mindset that suggests we should look forward to a time when we can leave work behind and allow others to care for us in honor of decades spent in toil and stress. The full story of how retirement was conceived, the genesis of public support, and parallels with the Industrial Revolution, is complex and varied. The bottom line is that the support systems have all eroded (pensions, Social Security, personal saving) and life span has increased (dissipating the support resources at an exponentially greater rate than originally planned); but the social goal of ‘retirement’ still remains. Retirement has become untenable financially, but is that even the most pressing concern? Retirement means leaving work. Leaving work means losing a sense of purpose and identity. Though certainly not universal to all work, in an era before ‘retirement’ aging workers could be re-assigned or have their workload modified, but nevertheless remaining employed and connected to whatever had provided a personal identity during the prime of their life. In old age the identity was revised, but the connection remained. Even for the bits of the social safety net that remain today, the realities of a retirement lifestyle can come as a shock; not just the reduction in expendable resources, but the social isolation upon leaving the work environment. Even more insidious is the relatively recent phenomenon of what amounts to early, unplanned retirement. In other words, most people who are laid off, or otherwise find themselves unemployed, in their mid-fifties, are unlikely to find re-employment in the same field. So, what is your exit strategy? If you don’t have one, it’s never too early to start planning. Don’t keep all your eggs in one ‘work’ basket. A hobby is a good diversion from work stress and, chosen well, can help maintain a sense of purpose in retirement. Some hobbies can be turned into alternate employment in case of work disruptions. Build your own safety net. Obviously, save money for retirement. But it is also prudent to put aside money for about two years of household expenses, in anticipation of an eventual work disruption. Develop a social network that extends beyond work and will continue well into retirement. Both retirement and work disruptions radically change your lifestyle. A popular bromide is to “plan your work and then work your plan.” The missing part is that you must also be prepared to “revise and adapt the plan” as circumstances change. Again, that flexibility begins NOW. 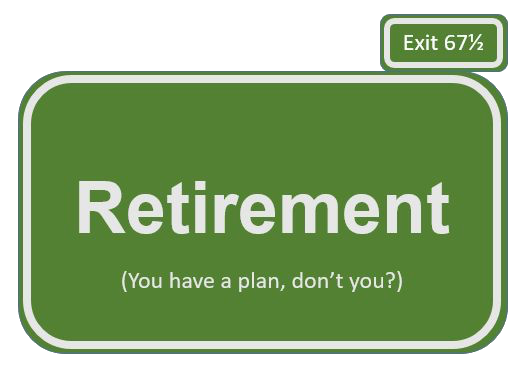 As you think about eventual retirement, pose some “What if…” scenarios and consider contingencies. Take a long vacation. Place yourself on a budget of about 70% what you would normally spend. Refrain from any contact with work or the workplace routine. Apply whatever you learn about yourself during this time to your retirement planning. Retirement sounds good, but for many people it is harder than it looks. As a modern invention, it requires some unique skills. Whether you are in the planning stage or currently attempting to adapt to retirement, Ask Dr. Kweethai.